ICHH have noticed a "worrying trend" in the number of young women sleeping rough, Cllr Christy Burke said. Six pregnant women have been forced to sleep rough on the streets of Dublin this week as the homeless crisis deepens in the city. 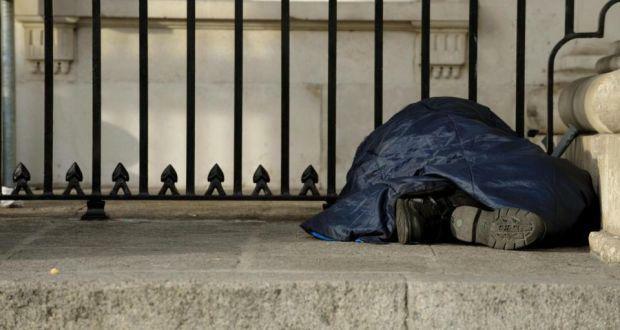 Councillor Christy Burke, chairman of the charity Inner City Helping the Homeless (ICHH), said that the outreach team encountered the pregnant women sleeping rough on their nightly food and clothing run on Thursday night. The women were scattered around the city. In total, the team met with 101 rough sleepers throughout the city centre, he said. "It's beyond comprehension that a woman would be allowed to sleep rough when she is carrying a child," he told the Herald. "What happens if there is a threat to her life, or she picks up an infection?" "It's totally unacceptable and something needs to be done now," Mr Burke said. ICHH have noticed a "worrying trend" in the number of young women sleeping rough, the former Lord Mayor said. Yesterday, the Herald reported that the credit limit on the credit card being used by Dublin City Council's Central Placement Service (CPS) maxed out this week, leaving one family to sleep in an industrial estate overnight. The credit limit has now been extended, it has emerged. A spokeswoman for the Dublin Region Homeless Executive told the Herald that the local authorities were not in a position to comment on individual cases. However, she said that the Dublin local authority homeless services that are responsible for assessing the needs of families and placing them into emergency accommodation are managing an "unprecedented demand" in the Dublin region. "The average nightly placements by the local authorities in the Dublin region into emergency accommodation from April to June was 228," she said. "The CPS had reached their maximum limit on the credit card due to the sheer volume of families that are presenting to the local authorities as homeless on a daily basis, and who are subsequently being accommodated in commercial hotels. "The limit has been renewed and extended and we continually work to accommodate families who are experiencing homelessness," she said. Between January and the end of June some €4.5m has been spent on commercial hotels, the figures reveal. "We continue to expand and implement measures to respond to the housing needs of homeless households. "However, the significant challenge remains that the level of families presenting to homeless services is not keeping a pace with the numbers of families that are moving out of homeless services and back into independent living," the spokeswoman added. An intensive leasing campaign has commenced via the Dublin local authorities seeking to attract landlords into social housing leasing arrangements.